Hello friends, again AkhmadShare.Com in this time will discuss the article on "Definition of Biology [Understanding, Branches, and Benefits]", hopefully this can provide benefits to you, here's his review. Biology is one of the sciences which determine in the progress and development of knowledge and technology, because by learning about biology can have the ability to think more logically, systematically, and more creative in solving a problem. Biology learning applied in life today is the result of research from scientists, and the result can be proved and not deviated from the facts. The current development of the biological sciences are already supported by technological advances that have many gave birth to various branches of science. The word Biology is derived from Greece the ' bios ' which means life or lives and ' logos ' which means science. From the origin of the word biology we can interpret as a science that studies on life. The use of the term biology was first recorded in year 1736 that is used by Linnaeus in his work entitled Bibliotheca Botanica. But the study related sciences about nature have previously existed since ancient times. Ilmy studying nature is already found in the great civilization-civilization as Egypt, China, and India. But the approach to science that examines the nature and modern biology comes from the time of Ancient Greece were pioneered by Aristotle and Hippocratus. Botany: learn all the life of the plants. Morphology: the study of the form and structure of a sentient life. Physiology: study faal nature and way of working of the body of an organism. Embryology: development of the study of an organism from a Zygote to an adult. Ecology: the study of the interactions between living things and their environment. 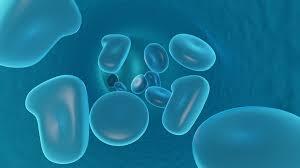 Microbiology: the study of all aspects of the life of the microorganism that are microscopic. Taxonomy: learn the classification or classification of living things. Genetics: the study of how living things in nature declining. Evolution: a study of the succession and the changes of kinds of living things all the time. Cytology: the study of the composition and functions of the cell. Pathology: study about the ins and outs of the disease. Biology has already developed into a purely for purposes of basic science in related areas. Biology as the basis of agricultural science in developing seeds, animal science, and others. It can also be used as a biological analysis of the cell. The development of world agriculture cannot be released from the existence of the biological sciences. At this time there is a crisis situation on world food insecurity due to the explosion of the population and the shrinking of farmer land. For example, hybridization techniques developed to meet the needs of different types of cereals and beans, that disease resistant, get superior varieties. The science of biology is very useful in the World Health body's Anatomy such as, networking, and so on. It has been a lot of research as well as a wide range of discoveries, one of which the invention of antibiotics and vaccines to cope with different kinds of diseases. There are still many handlers as well as various diseases that were previously difficult to overcome such as cancer, diabetes, and so on. And now that the disease can be helped by the existence of the technology in the field of Pharmacy and medicine. Very important biology used in preservation of mangrove forests and mangrove forests, so that Indonesia can be prepared as a maritime State. Including the role of biology in the production of farmed fish, House, etc. The science of biology is very useful for one of the world's fisheries for the fish farming research has a high nutritional value as well as economical.